March 15, 2018 - Never!!! 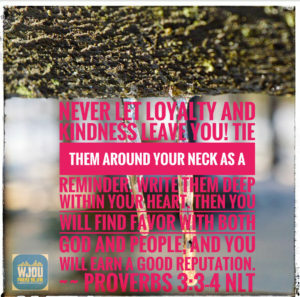 Never let loyalty and kindness leave you! Tie them around your neck as a reminder. Write them deep within your heart. 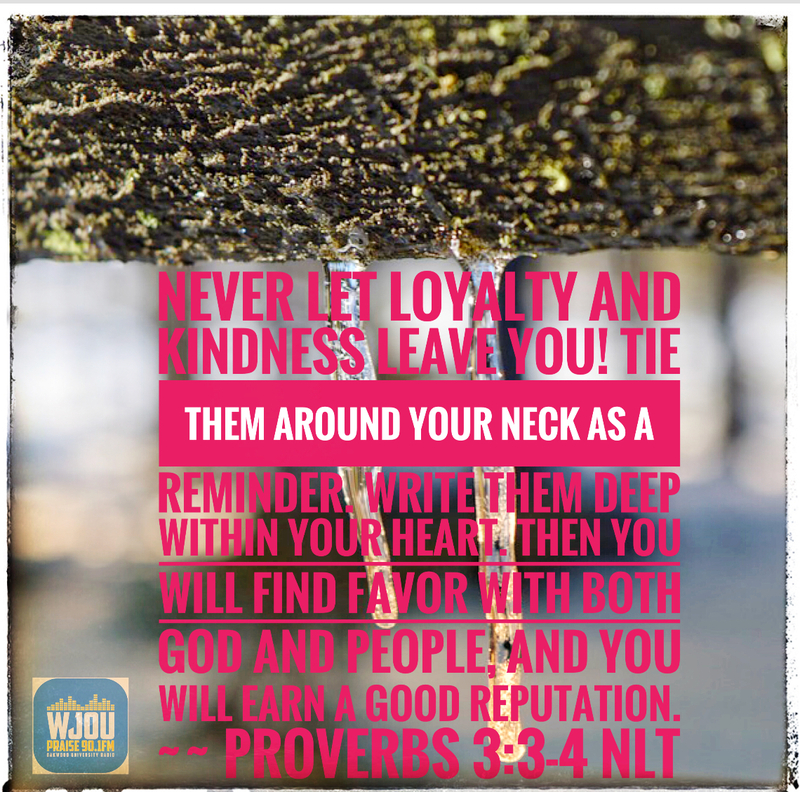 Then you will find favor with both God and people, and you will earn a good reputation.